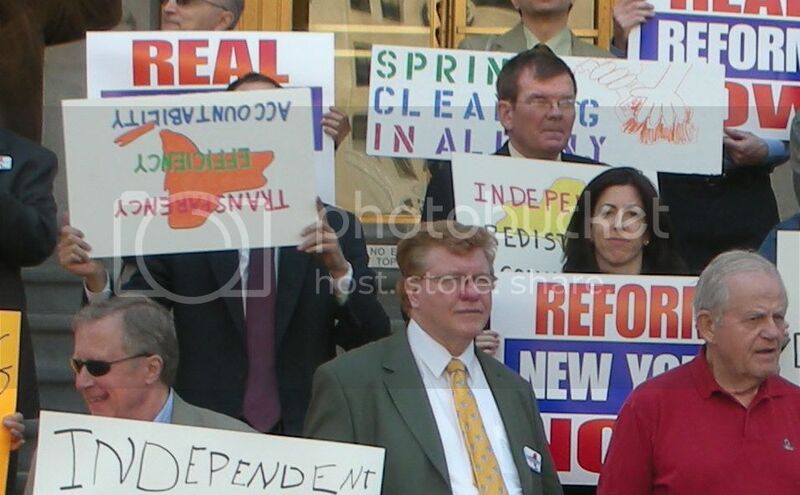 As we’ve mentioned, yesterday was the third annual Reform NY Day in Albany, and it was truly the best one yet. 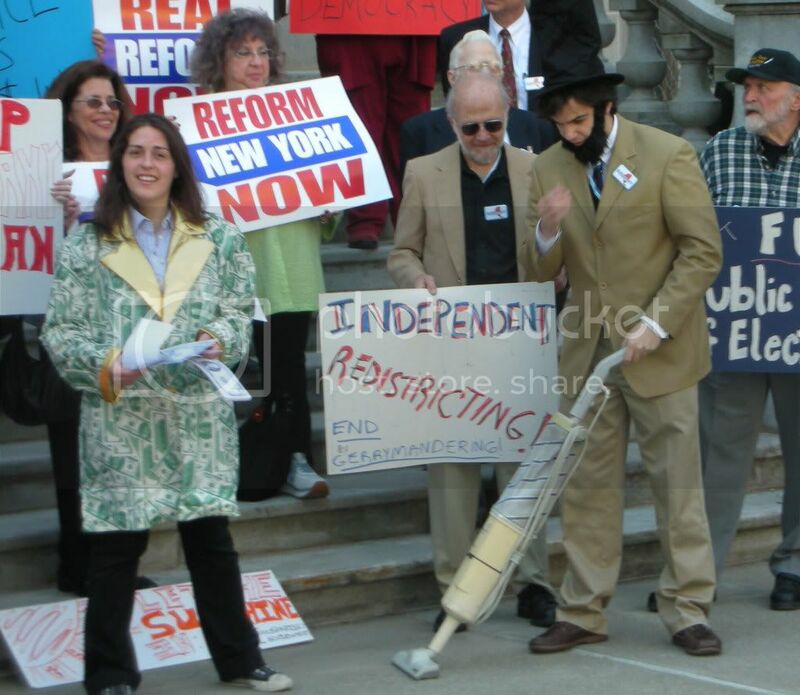 We started out the day with a great rally on the west side of the Capitol, complete with the villain Mr. Moneybags, who influences elected officials with his astronomically large contributions, and a personification of the gerrymandered Senate District 51, which some people say looks like Abe Lincoln riding a vacuum cleaner. We present this photo of our editor-in-chief for your review. He claims to have been joking, but we remain skeptical. More to come soon on the substance of the day.